Yanair (Yanair Ltd., Zhytomyr) in the summer navigation of 2018 serviced over 150,000 passengers on regular flights to/from Georgia. Head of the agent chain operations department at Yanair Svitlana Ilchenko said during the presentation of Georgia’s potential in Kyiv that these were flight from/to Batumi to/from Kyiv and regions. “In 2018, we transported over 150,000 passengers to Georgia on regular flights in the summer season. This is only Batumi from Kyiv and the regions,” she said. At the same time, Ilchenko said that in 2019, the airline starts regular flights from Kyiv to Batumi from April 6, and also plans to launch daily flights to Batumi from Odesa and Kharkiv for the summer season. In addition, the company plans to extend flights to Batumi from Kyiv for the winter navigation of 2019-2020. “We plan to extend flights from Kyiv to Batumi for winter navigation. We will service this destination [Batumi], especially since the Goderdzi winter resort is developing in Georgia, so Batumi will be in demand not only in the summer season, but also for the winter resort,” she said. 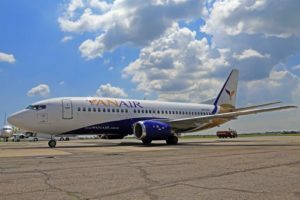 However, commenting on the delays and cancellations of flights in the summer season of 2018, Ilchenko said that the Yanair flight program for the summer season of 2019 was developed, taking into account the available fleet. “Last year there was a huge program not only of regular flights, but also of charter ones. In 2019, we approached this issue by planning the program in such a way as to eliminate as much as possible any flight failures. Flights planned for the number of aircraft that the airline has, to guarantee flights,” she said. Currently, according to the airline’s website, for the summer season of 2019, the airline announced daily flights Kyiv-Batumi-Kyiv, two flights a week Kharkiv-Batumi-Kharkiv, Odesa-Batumi-Odesa, Odesa-Tbilisi-Odesa and Kyiv-Tel-Aviv-Kyiv, four flights a week on Odesa-Tel-Aviv-Odesa and Kyiv-Odesa-Kyiv routes, as well as one flight a week on the Odesa-Yerevan-Odesa route. In turn, director of Travel RSP (Tbilisi) tour operator Nana Chialashvili, noted the growing demand for sanatorium rehabilitation and sightseeing tourism in Georgia. In addition, according to her, trips to the town of Sighnaghi are in demand, where the newlyweds can get married around the clock under a relaxed procedure. “In Sighnaghi, you can get married in 15 minutes, while the notary certifies the marriage immediately, so this is a completely legal marriage,” she said. Yanair Ltd. was registered on June 15, 2012 in Zhytomyr. In July 2013, it received an operation certificate. The airline’s fleet consists of seven aircraft – five Boeing -737 and two Airbus (A320 and A321). According to the public register, the ultimate beneficiary of the company is Oleksiy Yanchuk. 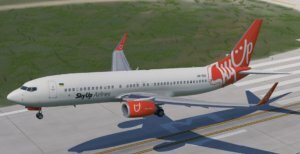 SkyUp airline will launch regular flights from Kyiv to Tbilisi (Georgia) from December 27 this year, to Sofia (Bulgaria) from December 28, to Poprad (Slovakia) and Barcelona (Spain) from December 29. “The first good news from SkyUp,” Infrastructure Minister Volodymyr Omelyan said on Facebook. Tickets for flights to Tbilisi, Poprad and Barcelona in the booking system on the airline’s website are available until the end of March 2019, and to Sofia only until mid-January. Flights to Tbilisi will be performed on Thursdays and Sundays (the minimum cost is from UAH 1,508), to the Tatras on Sundays and partially Thursdays (from UAH 954), to Barcelona on Wednesdays and Saturdays (from UAH 1,508), and to Sofia on Fridays (from UAH 1,329). SkyUp Airline LLC was registered in Kyiv in June 2016. The founder of SkyUp was ACS-Ukraine LLC belonging to Tetiana Alba and Yuriy Alba, who also own JoinUp! tour operator. 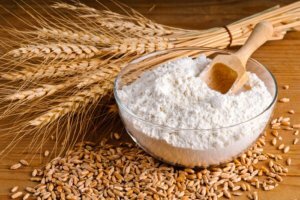 Wheat flour imports increased 8.1% to 6,800 tonnes, including 4,600 tonnes from Russia (67.6% of the total), 815.6 tonnes from Belarus, 775.6 tonnes from Ukraine, 400 tonnes from Azerbaijan and smaller amounts from Lithuania, Italy, France and Austria. The wheat imports totaled $53.3 million in value terms, up 11.7%, and the flour imports totaled $1.8 million, down 10%. Georgia imported 271,900 tonnes of wheat in January-June 2018, 10.6% more than in the same period last year, the National Statistics Service told Interfax. The bulk of the wheat imports – 245,100 tonnes – came from Russia. The remaining 26,800 tones came from Kazakhstan (22,600 tonnes) and Turkey (3,100), with smaller amounts imported from Ukraine, Azerbaijan and Germany.